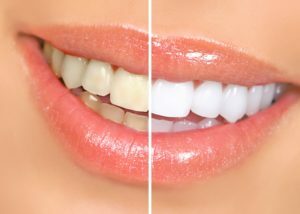 How Much Does Teeth Whitening in Framingham Cost? To help you achieve the drastic results you want, we have the solution you need with an at-home kit. We use Zoom! Whitening to help you achieve drastic, lasting results. After an initial consultation, we provide you with everything you need to brighten your teeth at home. We give you custom-fit whitening trays to ensure the even and consistent distribution of the whitening agent. You use the trays and the whitening gel every day for about 2 weeks. Your teeth can become as much as 8 to 10 shades whiter by the end of your treatment. Many people would like to brighten their smile but do not seek professional treatment because they are concerned about the cost. Most dental insurances do not cover it because it is elective. As a result, you could pay around $500 for at-home kits. Framingham Premier Dental does not want to see finances stand in your way of a beautiful, confident smile. You can enjoy the benefits of the at-home Zoom! Whitening system for as little as $329 a month. This low price includes everything you need to reverse your tooth discoloration. You do not need to hide behind tooth discoloration. You can bring new life to your smile with an at-home whitening kit. You will achieve professional-quality results from the comfort of your own home with your cosmetic dentist in Framingham. Dr. Marianna Gaitsgory earned her dental degree from the Goldman School of Dental Medicine at Boston University. She regularly continues her education to provide specialty services, including cosmetic dentistry. She can help you achieve a beautiful smile you will want to show off. Contact our office today to see if teeth whitening is right for you. Comments Off on How Much Does Teeth Whitening in Framingham Cost?